Perth’s newest authentic Japanese restaurant offers a premium dining experience with local and imported produce, Japanese chefs and a stunning interior. 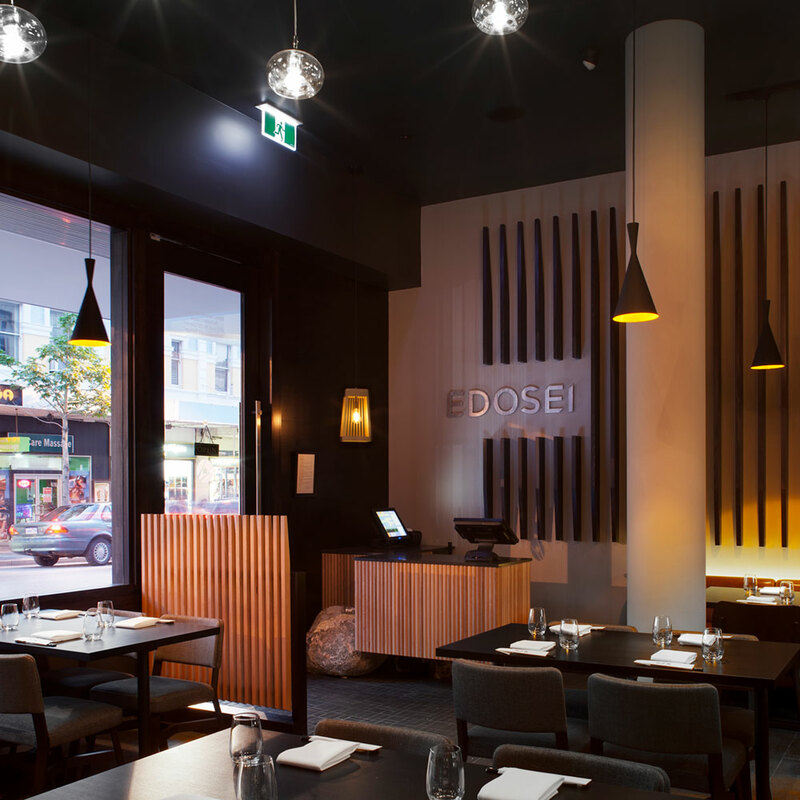 Turner Design was invited to work with award-winning architect Michael Roxby to complement the interior with custom made timber menus and sliding screens based on a graphic pattern devised from the logo shapes. Our contribution included the design of the restaurant branding, interior and exterior signage, print, menus, 'no-ren' curtains, the unique sliding screens and the website.